The TekTrack Mobile Module lets you process packages from your favorite mobile device. 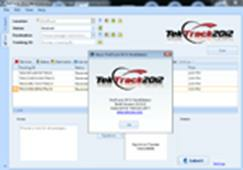 The Mobile Module is an add-on for the TekTrack Professional Edition. TekTrack Mobile Module lets you process packages using mobile computers and communicate with the rest of the TekTrack system (Includes (1) TekTrack Mobile license). Need to process packages from multiple mobile computers? Purchase additional TekTrack Mobile licenses to network additional devices with your system.